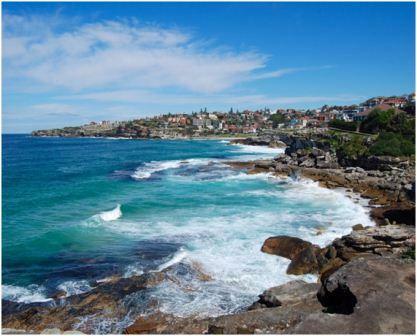 The shores of Waverley’s iconic beaches – Bronte, Tamarama and Bondi - are beautiful coastal environments with plenty of marine life. Because of their position between the sea and the land, the beach marine environment is home to thousands of microscopic and macroscopic organisms. It is one of the most common habitats along the NSW coast. 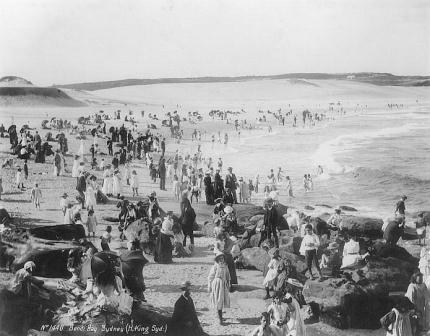 Occupying 1.4km of coastline, Waverley's beaches have undergone enormous transformation over decades of urban development and population growth. Millions of local and international visitors visit our beaches each year which also puts pressure on the local environment. Our beaches are now without any sand dunes and the biodiversity that would have once been present. Despite this, Waverley’s beaches are still teeming with life under the sand. These include rockpools, crevices, platforms, boulders and cobbles (i.e. “smaller boulders”), which are home to a diverse range of creatures. Intertidal Protected Areas (IPAs) are used as a conservation tool to provide protection to selected rocky shore habitats and their species. 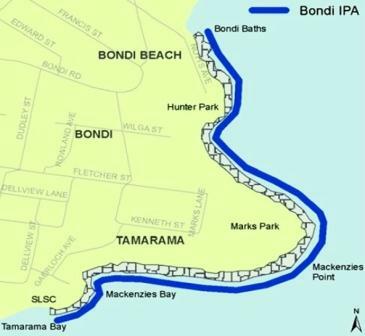 Check out the map below for IPAs in the Waverley Council area. Removing animals and invertebrates from these areas is totally prohibited. This includes the removal of crabs, snails, worms, cunjevoi, octopus, sea urchins, anemones, pipis, cockles, mussels, oysters and saltwater pink nippers (yabbies). Intertidal protected areas extend from the mean high water mark to 10 metres below mean low water. These are sub-tidal regions that lie below the low water mark. Because they are underwater, these marine environments are not as heavily impacted by extreme environmental fluctuations as intertidal rocky shores are. As a result, they provide a stable environment that can support more complex and diverse marine life. Smaller species such as pipefish, seahorses, wandering anemones and tube worms. Crustacean species of barnacles such as the Giant rock barnacle – Balanus nigrescens, subtidal ascidian species such as Sea Tulips – Pyura gibbosa or Pyura spinifera and a mix of different sponges. The local and iconic Blue groper – Achoerodus viridus. 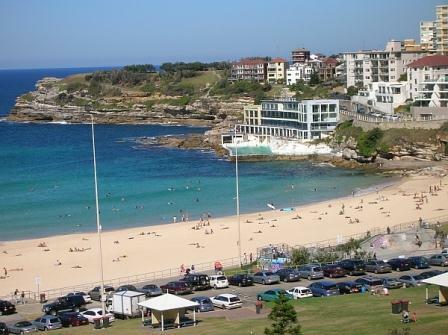 The Bronte-Coogee Aquatic Reserve (BCAR) stretches from the southern end of Bronte Beach to the northern end of Coogee Beach. Since March 2002, it has protected a diversity of rocky shore habitats and extends out 100 metres from the shoreline to further provide protection offshore. Managed by National Parks NSW, the reserve covers a total area of 42 hectares and provides restrictions on what activities can be carried out within its boundaries. In addition, the Bronte-Coogee Aquatic Reserve has been the focus of scientific research involving a suite of research institutions and support from Waverley Council and Randwick City Council, such as the blue groper tagging study. The ongoing tagging study will help to advise both Waverley Council and Randwick City Council in the management of the BCAR. These organisms can be seen with the naked eye and are generally too big to move between sand grains. They can range in size from a few millimetres to a few metres long. 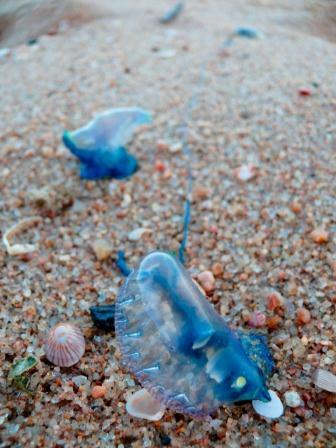 Common macro-organisms that can be seen on Waverley's beaches include crabs, pipis and worms. Many of these invertebrates play an important role in the cleanliness of our beaches, and form the base of the marine environment food chain. These creatures cannot be seen by the naked eye and generally live on or in the space between the sand grains. Common micro-organisms include a range of bacteria, bivalves, various worm species and crustaceans plus zooplankton species. A local dive site known as the Bondi Boulders in North Bondi contains plenty of marine life, including baby Port Jackson sharks, scorpion fish, crabs and sea stars. It features giant pink boulders with trademark holes burrowed out by generations of black sea urchins.